Who says editors don’t know how to party? 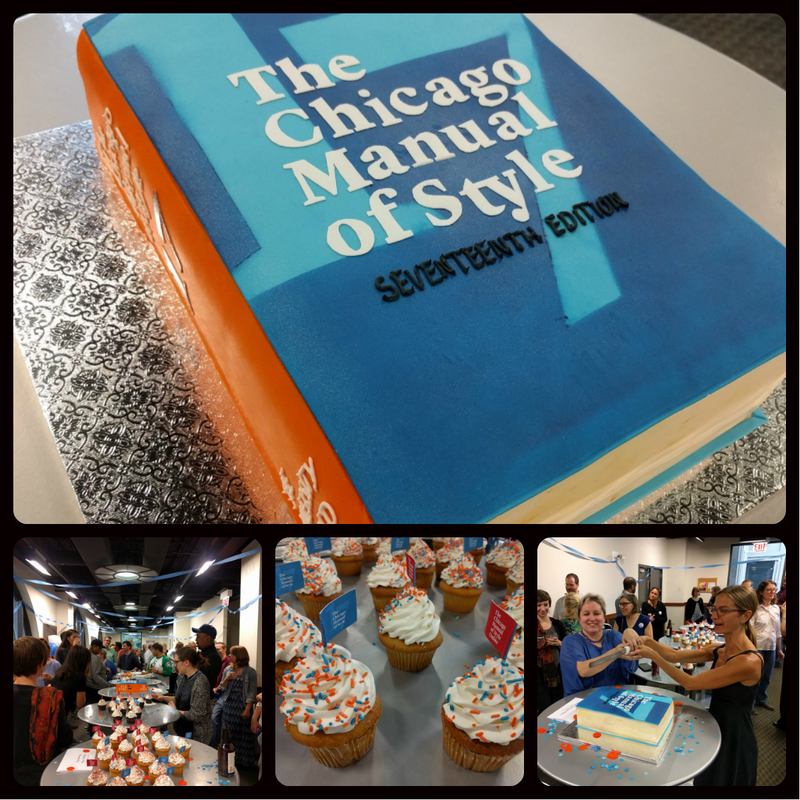 Today at the University of Chicago Press we toasted the arrival of the 17th edition of The Chicago Manual of Style. The Manual has been underway almost since the moment the 16th edition arrived, and this celebration topped seven years of work. Missing from this get-together were the dozens of contributors who work beyond the the walls of our Chicago office. (You can read about some of them here.) The Manual is meant to reflect the best practices of the publishing world, and so it depends on the thoughtful contributions of wordsmiths of all persuasions. Also missing from this celebration is—you. For decades we have heard from the writers, editors, students, librarians, proofreaders, indexers, copywriters, designers, and grammar enthusiasts who use the Manual. (We’ve even been lucky enough to meet some of you.) Your feedback, compliments, and, yes, even criticisms are all contributions you made to this guide, and we are grateful for them. Whether you’re writing a paper, finishing your magnum opus, or just want to get an email right, we’re glad you’re letting us help out. Since we can’t hand-deliver thousands of cups of champagne, we are offering you a chance to raise a glass at home. A senior manuscript editor here at the Press, Yvonne Zipter, has created a special libation just for this day. 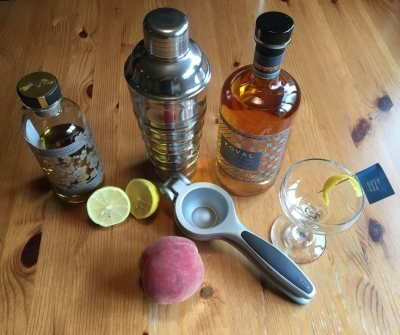 Shake with ice and strain into a chilled cocktail glass. Garnish with a twist (think: comma) of lemon peel. In a medium saucepan, stir together water, sugar, and peach. Bring mixture to a boil, then reduce heat and let mixture simmer until sugar completely dissolves. Remove from heat, cover, and let steep for 25 minutes. Strain peach from syrup mixture and let cool completely before using. Store in the refrigerator. If you’re celebrating—no matter what’s in your glass—be sure to share your photos with us on our Facebook page or on Twitter. Thank you. Now on to the 18th. An Update on Using Commas with Etc. I hate the new interface. Everytime I try to run a search on CMOS 16th ed. (my clients still require that), I have to deal with a “www.chicagomanualofstyle.org says:” popup that needs to be closed. Sometimes I have to try two or three times to close it. How can I avoid that? We’re going to let our customer service team know about this. You should not be seeing a pop-up and so we’d like to figure out what might be going on. We’ll follow up with you directly. Congratulations! Your celebration looks like it was a blast. And thanks for the drink recipe!